Miami, FL – January 11, 2019 (EmergingGrowth.com NewsWire) — EmergingGrowth.com, a leading independent small cap media portal with an extensive history of providing unparalleled content for the Emerging Growth markets and companies, reports on Next-ID, Inc. (NASDAQ: NXTD). Next-ID, Inc. (NASDAQ:NXTD) is a technology company that has developed the backbone infrastructure that securely and seamlessly connects active people with their money. The FitPay backbone is very robust and incorporates biometric verification, data encryption, miniaturization of sensors that links and enables the Internet of Things (IoT). The recent surge in price is due to massive consumer exposure of Garmin’s latest smartwatch and fundamental investors seeing NXTD ink a solid financing deal. Last month, December 21stto be exact, NXTD saw a low of $0.53/share. From that very day, Next-ID has shown positive gains 14 of its last 16 trading days, hitting a high of $1.40 on Tuesday. Wednesday, NXTD continued its bullish run as it closed the trading day at $1.26 +0.03 (+2.44%) on nearly 618,000 shares traded.Through Garmin Pay, trusted partners like Visa (NYSE: V) and Mastercard (NYSE: MA) have vetted NXTD’s proprietary FitPay platform which interfaces with millions of near field communication enabled (NFC) point-of-sale (POS) terminals worldwide. The newest Garmin smartwatch product unveiled at the Consumer Electronics Show in Las Vegas, Nevada on January 7, 2019 demonstrates the fusion of a secure contactless payment mechanism using a digital wallet for consumers on the go. FitPay, enables consumers to make highly secure contactless payments. This new smartwatch, the vívoactive 3 Music with LTE connectivity is one of the most significant advances in contactless payment solutions which could usher in a new era of usage. As usage increases so does the value of the licensing platform and ultimately the stock price. NXTD’s deal with Garmin is a great springboard toward future growth. The reason is, the more devices enabled with FitPay will ultimately lead to an increase in usage. Usage is the next metric that will be measured and if this platform starts to gain traction other players will join in. Investors need to remember that NXTD has a first to market mover advantage. 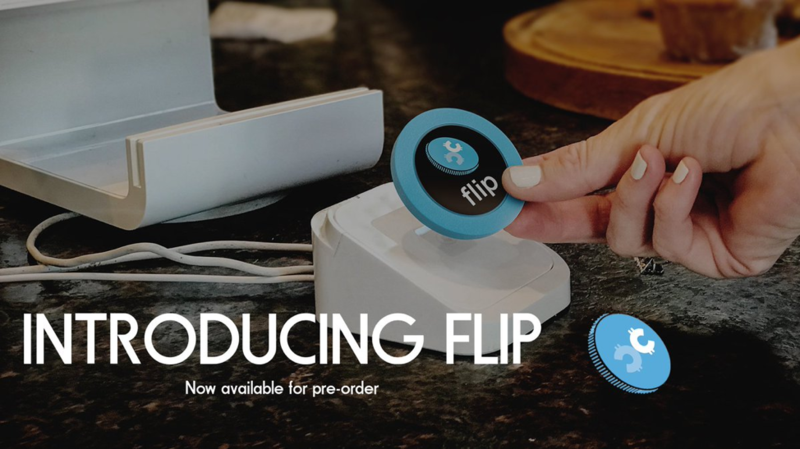 Last week, Fit Pay announced it will begin shipping initial orders of Flip™, a new contactless payment device that enables Bitcoin holders to use the value of their currency to make contactless purchases at millions of retail locations, on February 13th of 2019. Tuesday’s premarket debt financing news blasted them to an intraday high of $1.40/share (+164% off the December low of .53) on a whopping 1,303,432 shares traded. The company signed an LOI for a $16.5 million senior secured term loan. The loan, with an interest rate of LIBOR +11.00%, will mature in 3 years after closing with minimum principal payments amortized over 96-months. The company believes that both their health care business and FinTech business are better suited to operate as separate entities which they hope will maximize shareholder value. This “TBA” spin-off transaction will allow shareholders to own shares in both companies. The new company, PartX, Inc., will include the assets acquired in the May 2017 combo with Fit Pay, Inc as well as the payment, authentication and credential management assets the company developed previously. Interestingly enough, the release will be a day or two before NXTD’s 10K, posting its year end results. Last quarter, the company beat estimates by .06/share, something investors would love to see again. Today, Fit Pay, Inc., a wholly owned subsidiary of Nxt-ID, Inc. announced the expansion of Garmin PayTM, a contactless payment solution, to the 11th smartwatch from Garmin International, Inc. The new smartwatch, which has built-in sports apps, Garmin Pay™ contactless payments, wrist-based heart rate monitoring and now Music with LTE connectivity, launched in conjunction with the Consumer Electronics Show in Las Vegas, Nevada on January 7, 2019. The Garmin Pay contactless payment feature and digital wallet, which is powered by FitPay, enables consumers to make highly secure contactless payments at millions of near field communication enabled (NFC) point-of-sale (POS) terminals worldwide.Garmin Pay and the vívoactive 3 are connected to the FitPay Trusted Payment ManagerTMplatform, which is integrated with Mastercard (NYSE: MC) through the Mastercard Digital Enablement Service (MDES) and with Visa (NYSE:V) through the Visa Ready for Tokenization program. According to Mike Orlando, COO of NXTD and FitPay President, ”Garmin Pay, …, is our flagship customer on the tokenization platform. We ended the quarter live in 27 countries, 229 banks. Since that event, we’ve also added the Maestro network in Europe, which is one of the largest debit networks there. And that’s proven to show an increase in activity and activations since the majority of our holders in Europe favor debit cards at this level of purchase versus credit.” This growing vendor acceptance demonstrates the sustainability of the platform and enhances their first market mover advantage. Big names like Visa and Mastercard are tied to platform and that give consumers comfort to use the platform because they know these big companies wouldn’t allow their company name to be involved with a flimsy payment platform. The FitPay platform is so robust that they have earned the distinction as being “the first card on file” from Visa for credential management providers. What this does is open up another channel of distribution of the FitPay platform to payment service providers looking to target online billing companies. Sensitive credit card information needs to be stored and accessed in a very secure way. The tokenization platform opens up a more convenient way store and access this data. The benefit is higher security and the elimination of needing to update card data for a lost and stolen card. Many people can relate to having a fraudulent charge on their card and then having a new card issued. This requires the consumer to go back and manually enter the card to each and every recurring payment. All credit cards eventually need to be updated because they have an expiration, and this adds a structural inefficiency to the market place as larger merchants have an outreach department that contacts customers to tell them that they need to update their data. Eliminating this hassel would be a key selling point for the card issuer, the merchant dependent upon the recurring payment, and of course the consumer. This business segment falls under the Flip product. In the last quarter the company turned the corner of profitability and reported EPS of .06 for the Q3. Their subsidiary LogicMark has very healthy product margins of 73% and is also benefiting from a shift from landlines to mobile products which increases the profitability on a per unit basis. Revenues continue to grow, and they are on an $18 million dollar run rate for the year end 2018. When the company reports Q4 and the year there is the potential of another upside surprise given the inventory build in the prior quarter in anticipation of a strong Q4. The company closed the quarter with about $800,000 in cash but this new credit facility gives them even more flexibility in operations. The convertible notes have been extinguished. On the last earnings call Stan Washington, Chief Revenue Officer of NXTD mentioned that the company was planning on “more insight into it as we get into early next year, sometime hopefully in Q1. But specifically, to your question around the growth on telehealth and telemedicine in, that is a real cornerstone of our long-term growth strategy.” This indicates that the company is positioning itself for an acquisition in telemedicine. It makes sense that they would use their existing client base to sell telemedicine products. Integration could be tricky if they try to use new technology that seniors might be resistant to. The point is that they might have to take their time to find the idea merger candidate, but it represents a tremendous growth opportunity. Investment SummaryThe company is executing on its business plan. They have a bread and butter healthcare business with solid management in place to keep growing and adding value to the business. A merger with a telemedicine provider could generate investor excitement but the company indicated that was a long-term prospect. Most of the investor focus is on the technology side of the business because IoT is one of the fastest growing market segments in technology. In addition, the company seems “Fit as a fiddle” with positive speculation surrounding a potential spinoff of the healthcare business now that it is on sound financial footing. Financial results are also due in a month (mid Feb) which could add additional catalysts as history has shown that they keep beating estimates. Shareholders will soon get a spin-off and will have shares in 2 companies, and all of its subsidiaries seem to be moving in the right the direction as well. Fit Pay products are being launched and shipped. LogicMark’sincreased sales volume to the VA. They expect growth through multiple channels and finalized major supplier agreements, two major big-box retail companies, and are launching with those partners over the next few months.